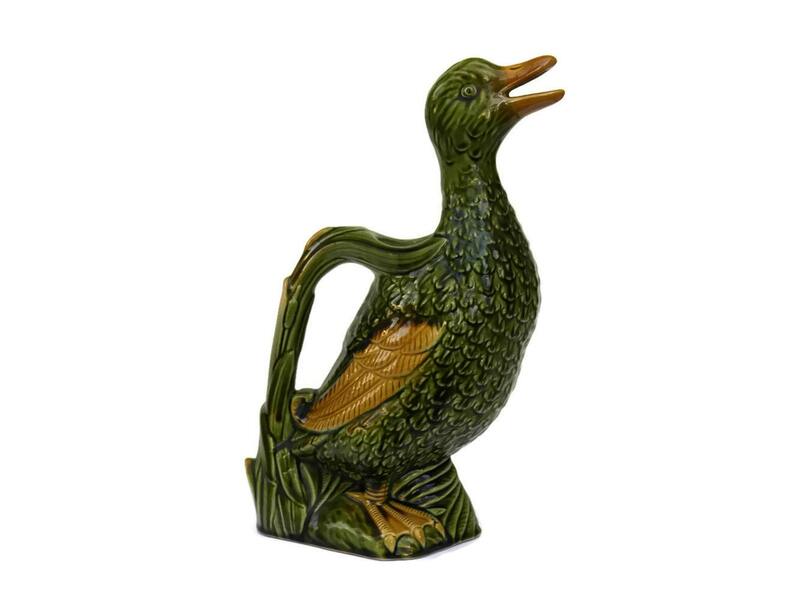 A French vintage majolica water pitcher created in the traditional form of a duck. 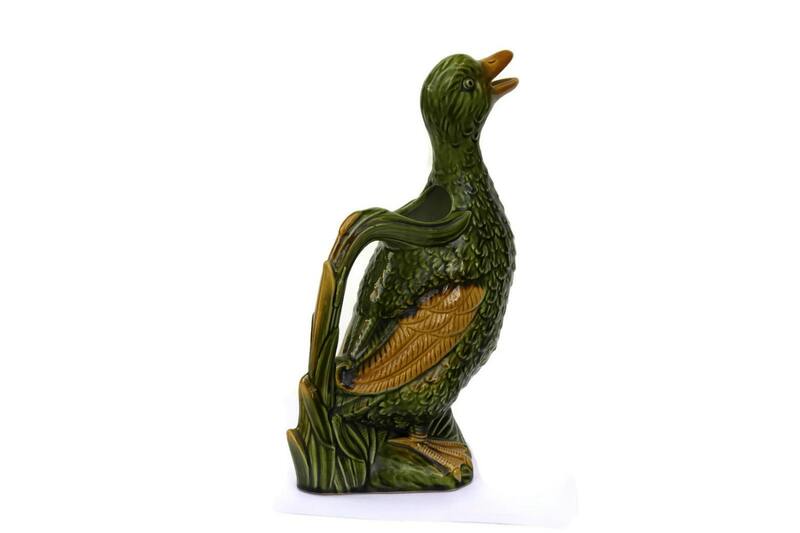 The hand decorated ceramic duck pitcher features great attention to detail and has a bright and vibrant glaze. 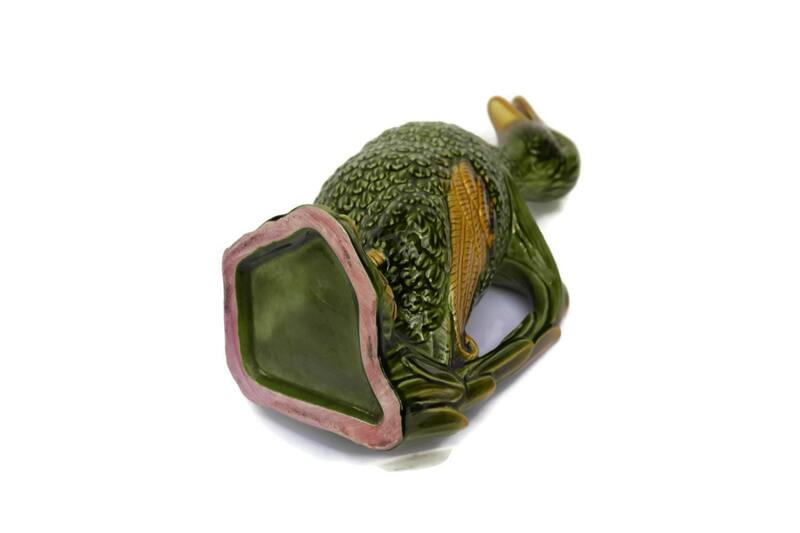 There are no visible makers marks or stamps. 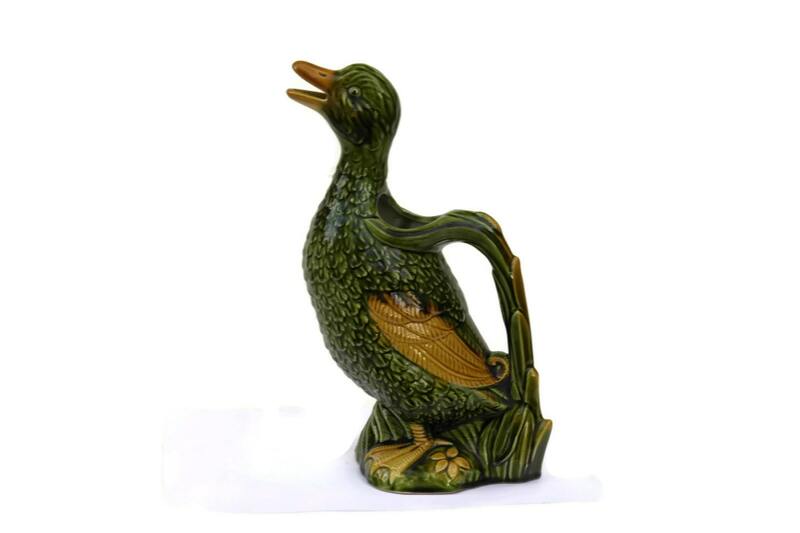 (30 cm x 17 cm). 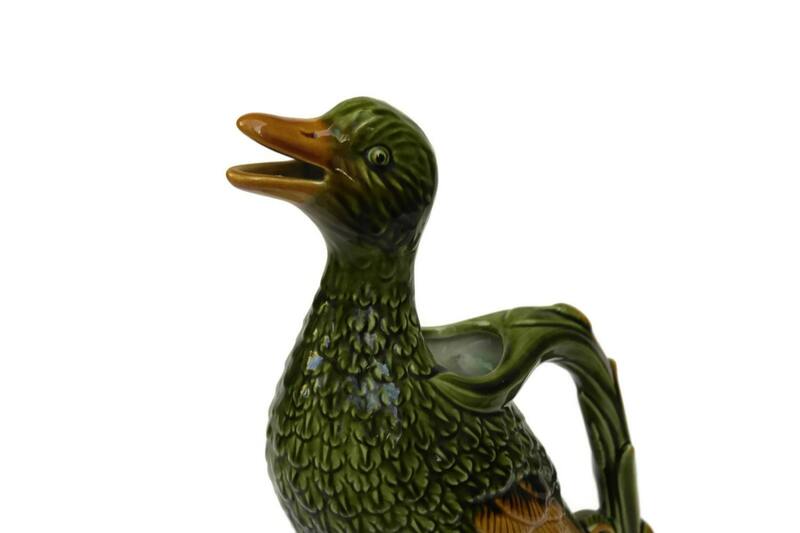 The French majolica pitcher is in very good vintage condition with no chips or cracks.